It’s Tuesday. Time to eat. I love to tie a napkin around my neck when I eat. 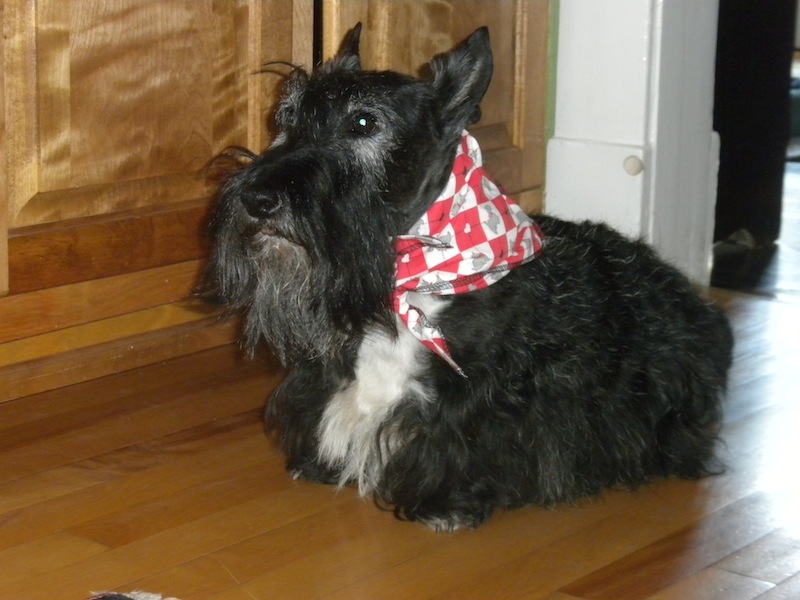 This entry was posted in The Scottie Chronicles and tagged dogs, Scotties, Scottish Terriers. Bookmark the permalink. Anything if it gets you more food. Chewsday Tuesday, huh? We like it! We see a green bean on that plate! Yummy! We chew every day.We hope that you do too. Stuart that kerchief is looking mighty good on you my friend. Hope you got some extra green beans! I love your napkin! You are such the gentleman. Hi Stu! 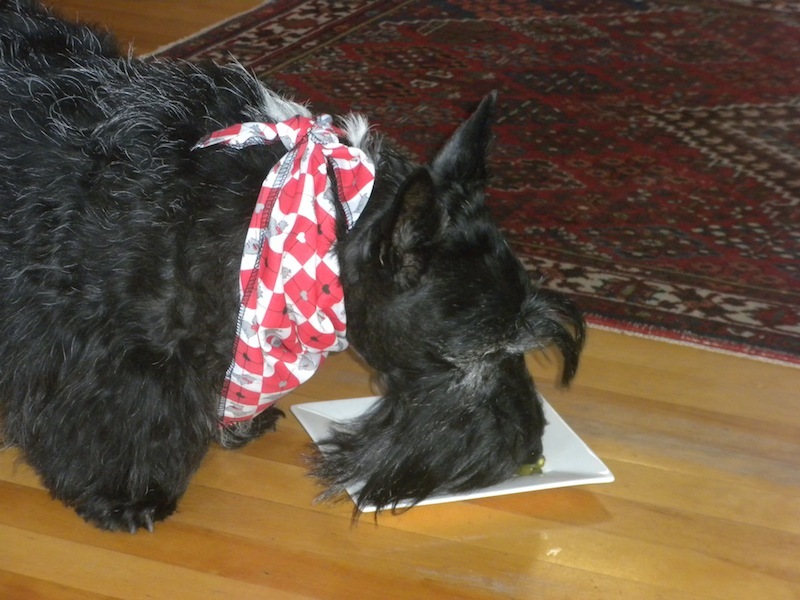 No one ever heard a Scottie say: “no more food, I’m stuffed”, so you are a normal Scottie! What good manners you have using your napkin! What a good boy! You look wonderful in your bandanna, err napkin, Stuart.. Food looks great on white plates, don’t you think? Stuart you are a true love in your simplest photos!